Akihiko Chiyomaru continued his time in the United States into fall 1990. After spending the season at rookie Gate City, Chiyomaru continued into the Florida Instructional League that fall. In one game there, in mid-October, Chiyomaru worked to help get his team a win, getting two hits. His team, though, lost the game. Chiyomaru soon returned home to Japan. He also soon made Nippon Professional Baseball. And, while he didn't get extended time in NPB, he did see some time in four NPB seasons, his last coming in 1997. He also never got an NPB hit. Chiyomaru's career began in 1988, taken by Hiroshima in the sixth round of the draft, out of Tokiwa High School in Japan. Chiyomaru's name has also been listed as Shoshi Chiyomaru. The Japanese form of his name is 千代丸亮彦. With Hiroshima, Chiyomaru was sent to the United States, and rookie Gate City, for 1990. At Gate City, Chiyomaru hit .245 over 50 games. He also hit four home runs and knocked in 26. 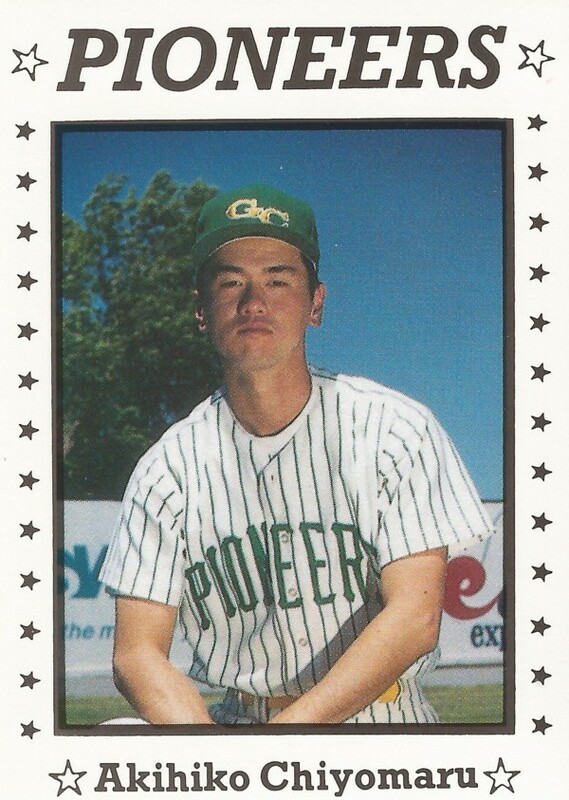 Back in Japan, Chiyomaru made a quick debut in NPB, playing his first game May 20, 1991 against Yomiuri. Chiyomaru got into six games in all, going 0 for 6. Chiyomaru didn't return to the first team until 1995, getting into two more games for Hiroshima, going 0 for 4. That year he also played in Taiwan, for the Times Eagles. Chiyomaru continued back with Hiroshima for 1996 and 1997, getting four appearances in 1996 and two in 1997, ending his career. Overall in NPB, Chiyomaru got 16 at bats over four seasons, but never recorded a hit.